I graduated from San Diego State University in 1989 with a degree in Biology. Loving animals, I had a zoo career for many years. My husband and I gave birth to our first child, Zoe in a birth center in Orlando, Florida in 2001, and I became a full-time mama. 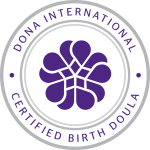 Being fascinated by pregnancy and the birthing experience, I became a DONA Certified Doula in 2002, then a Certified Childbirth Educator in 2003. When I became pregnant with our son, Evan in 2004, I knew Best Start Birth Center was the best choice for me. 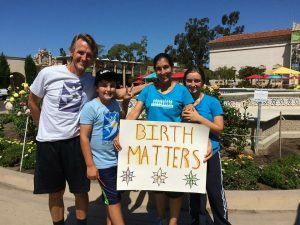 I support the San Diego birthing community by teaching childbirth preparation classes for Best Start Birth Center, and I have taught at many of the hospitals in San Diego over the years. In additional to being a specialist in placenta encapsulation, I work as a birth and postpartum doula – and just attended my 200th birth! Having a safe, peaceful and empowering birth experience can have lasting positive effects on a family. My hope is that through my teaching and doula work, I can help women find their strength and improve the birth experience one birth at a time.